Beginners Exercise Program: Walking isn’t Exercise! I can't tell you how many people looking for a beginners exercise program tell me they walk for exercise. My first question to these folks is, "What is your fitness or exercise goal?" The answer is usually, "To get in shape." or "To lose weight." My second question is always, "Then what does your heart rate get to when you walk?" and without fail they all say, "I don't know." Really? If you want to lose weight, get in shape, or improve your cardiovascular health, how can you do that if you don't know how hard your body is working? Look, whether you're a veteran in fitness or just starting a beginners exercise program, walking isn't really exercise unless it's done at a pace that gets your heart pumping into your target heart rate range! Yeah, it's good to walk, but if you're serious about your fitness goal, and walking is going to be one of your exercise choices, you need to understand the truth. Doesn't, by itself, satisfy the exercise recommendations from the American Heart Association . Don't believe me? Read below! So, what exactly are the guidelines and recommendations of the American Heart Association (AHA) and the American College of Sports Medicine (ACSM)? The AHA recommends at least 150 minutes per week of moderate-intensity cardio, or 75 minutes a week of high-intensity cardio. The exercise sessions can be broken up into segments, as long as they are 10 minutes or longer. An easy breakdown could be 30 minutes a day, five days a week. In addition to aerobic exercise, do at least two 20-minute sessions of strength training a week. 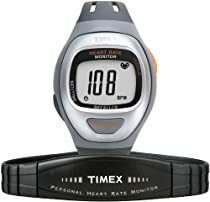 With something like this, you can now monitor your heart rate during your walking program to ensure not only the safety of your workout, but to make sure you are reaching appropriate levels to burn fat and improve your heart health! For more information on cardiovascular training and to figure out your target heart rate, see the Cardiovascular Training section of my DVD.